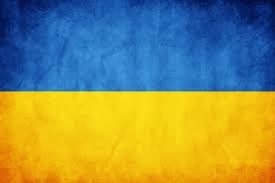 After writing an analysis on the recent UEFA Futsal Euro in Belgium, I was asked, through a contact, to give my evaluation of Ukraine’s performance. As the country has one of the highest visitor numbers to the blog I have provided my report below for those that wish to read it. Enjoy!! Ukraine reached the UEFA Futsal Euro Final in 2001 and 2003, one of only four teams to have reached this stage. The other three teams are Italy, Russia and Spain. In more recent times, they have made it to the quarter finals in their last three appearances. Ukraine’s past performances have established them as one of Europe’s strongest futsal nations. They were led by Gennady Lysenchuk since the national team was created in 1994 but, after 18 years in charge, he stepped down after the 2012 World Cup. Yevhen Ryvkin took over the reins in 2013, combining the role with being head coach of Ukranian champions Lokomotiv Kharkiv. This was their first major tournament with him at the helm. Their fourteen man squad features nine players from the last edition and is a mix from three domestic clubs. There were seven from Lokomotiv Kharkiv, four from Energy Lviv and three from Uragon Ivano-Frankivsk. During the tournament Ukraine employed a system of two fours that interchanged every two to three minutes of game time. This enabled them to maintain their intensity during games and minimise accumulated fatigue as the tournament progressed. Ryvkin opted for experience in his first four, which featured the players from Energy Lviv and this composition didn’t change throughout. The second four had various combinations during the games and tournament. In a group with Romaina and hosts Belgium, Ukraine was the favourite to qualify. They had recorded excellent results leading up to the tournament, defeating both Croatia and eventual champions Italy in pre-tournament friendlies. They finished at the top of the group after a 1-0 defeat of their neighbours and a 0-0 draw with the hosts. However, this did not provide them with an easy draw in the knockout stage as they encountered Portugal and were defeated 2-1 to exit the competition at the quarter final stage for a third consecutive time. Over the three games they conceded just twice, the least of any team in the competition, with two clean sheets. This was supported by the fact that they conceded the fewest attempts against on average over the three games, just eighteen and this was three less than the next best team, Spain. They were the first team in the competition’s history not to concede in the group stage. This shows they defended superbly. They demonstrated the key ingredients for successful defending; team work, commitment and discipline. Good defensive balance prevented them getting caught on the counter attack and when they lost the ball recovered quickly. They used individual marking with natural changes, though they sometimes made errors in exchanges that left a player unmarked. They generally engaged their opponents around the halfway line and then increased the pressure from there. In the group games they occasionally pressed higher up the court. When they did increase the pressure they looked dangerous, with their first defensive line often nicking the ball and initiating a counter attack near to the opponent’s goal. In fact, both of the goals they scored in the competition came from these situations. Against Portugal they did not press higher than half court. I was a little surprised as when they didn’t do this against Belgium in their previous match they lost control and looked vulnerable. Of course, the Portuguese are superior opposition and more equipped to escape the pressure but they could have pressed higher when the Portuguese second four was on court, without their key player Ricardinho. During the tournament they used all three goalkeepers, with their Number 1 getting injured in the first game. All demonstrated they are of the top level, though it can be noted that the distribution of Lytvenenko was not as high as the other two. To have three excellent players in such an important position is a real source of strength for the team. In the quarter final defeat, Portugal’s first goal came after the Ukranians lost the ball on the counter attack and, with a lot of fortune; the ball fell kindly for Cardinal to finish. The second came from an uncharacteristic lack of concentration against a kick-in, another important quality for good defence and frequently punished at this level. In attack they struggled to create genuine goal scoring opportunities. They had sixty attempts on goal and scored two goals. They had more shots than both Croatia and Slovenia, who scored 7 and 9 goals respectively over their three matches. This was probably due to the difference in quality of chances created, as shown by the fact they had the second lowest ratio of shots on target to attempts of goal. Throughout the competition they utilised a 3-1 formation though sometimes transitioning into 4-0 or 2-2 systems. In positional attacks they retained the ball well with players offering support between the lines. However they struggled to transition from their build-up play into getting into an area to threaten the opponent’s goal. They frequently had extended periods of possession that led to nothing. Sometimes their speed of ball circulation and movements were slow which prevented them from creating disorganisation in their opponent’s defence and spaces that could be exploited. They were successful in finding passes to their pivots but this was not taken advantage of. Anticipatory runs as the pivot received to create space for a shot were rarely made. Neither were their pivots the classic type that can hold the ball up with their back to goal and create danger by either turning or waiting to set up a team-mate for a shot. The result was the ball was usually returned back without any threat being created. They rarely took advantage of times when they won the ball in their own half to counter attack as their attackers failed to run deep to take advantage of these situations. In situations of superiority, either when they played fly goalkeeper at the end of the game against Portugal or when Belgium had a player sent off, they created few opportunities and were unable to score. The creation of 1v1 situations was seldom employed and only Dmytro Bondar looked capable of beating his man in these situations. They lacked a player that could do something different to create a threat with a bit of individual quality. I was very impressed with Petro Shoturma, who was in the Ukraine squad for the 2012 World Cup as a nineteen year old. He didn’t feature in the first game but showed his quality when he played in the later matches. He was always looking to play forward and cause problems for the opposition defence. He will be a key player for the team in the future and, for me, was their best player. Being knocked out against a side like Portugal in a game that could have gone either way is no disgrace and they should be satisfied with their performance overall. During the competition they conceded few chances but neither did they create many, resulting in games that weren’t the most entertaining. This also meant all their games were close, whether they were playing Belgium or a team of much superior quality such as Portugal. In conclusion, they demonstrated that they are a very good side and have a solid defensive foundation to build upon. The squad only had two players over thirty years old with captain Maxym Pavlenko, at thirty-eight, unlikely to play in another major tournament after over a decade of distinguished service with the national team. This squad that can stay together for the next four years and, with the addition of a couple of players that can create more of a threat in attack, they have the making of a very strong side in the future.